You finally get around to cutting the lawn, you get about halfway down the length of your yard, and BAM! The mower dies. There are several common and easily fixed reasons why a mower might die including bad fuel, loss of air flow to the engine or carburetor issues. When the blades on a lawn mower come under full load, such as when cutting thick or tall grasses, the carburetor responds by increasing the amount of fuel flowing into the cylinder. This increase in fuel allows the piston to keep firing and the blades to keep turning. However, if the engine dies when it comes under load, the likely problem is due to a drop in the fuel supply. How long has it been since you filled your mower gas tank? 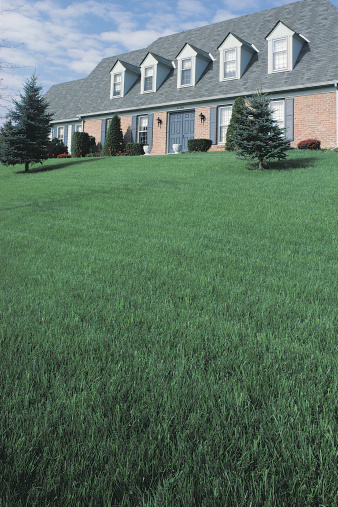 Most often minor fuel problems caused by bad gas will cause a lawn mower to stall out when it starts cutting grass. All lawn mower fuel will start destabilizing after about 30 days. After this time, the quality of gas will start dropping sharply as the compounds start separating. If this low-quality gas gets fed into your mower, the fuel system will get compromised, as bad gas tends to leave behind sticky deposits that stop fuel flow. Also, any gas left in the mower during storage will dry out and cause these problems. The loss of air flow to the engine caused by too tall or too thick grass or a dirty air filter is often the reason a mower engine stalls. Air mixes with the fuel to dilute it so it will combust better inside the cylinder. However, the air surrounding a running lawn mower engine is filled with dust, grass clippings and other debris; they enter the cylinder and scour the sides of the bore. When you try to mow on overgrown lawn, you end up clogging the air filter and shutting off air to the engine. The air filter traps these particles before they enter, so you'll need to clean your lawn mower's air filter according to the manufacturer's recommendations. If you've ruled out other potential issues, the problem just might be your carburetor. Most lawn mowers use a carburetor with three adjustable screws. These adjustable screws set the rate of fuel consumption for the idle, low and high speeds of the engine. These carburetors, then, need regular adjusting to ensure the amount of fuel reaching the carburetor corresponds to the necessary engine speed. However, carburetor adjustments can be tricky, as even minor adjustments can have major impacts, so it's best to let a professional adjust the carburetor. If a carburetor needs adjusting too much though, it can mean that the inlet bores on it are too dirty to allow enough fuel in. Impurities in the fuel, from bad or old gas, can stick to the bore, the screen and other sensitive parts inside the carburetor. When this happens, the carburetor will suffocate and the engine will run poorly and often will shut off when it needs more fuel. A service professional should also perform any carburetor cleaning, however, make sure he also installs a carb kit before reinstalling the carburetor.